At this point it's fairly obvious that I'm a huge fan of Colourpop products. 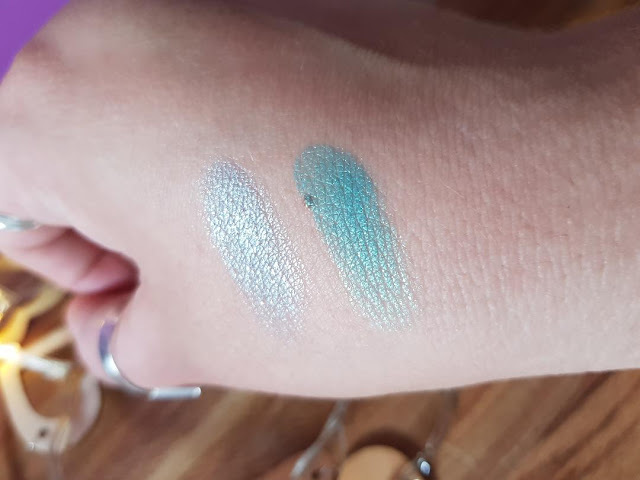 I recently gave one of my super shock shadows to my Nanna because she has been struggling to find an eye shadow that doesn't migrate throughout the day. I have hooded lids and find the super shock shadows to be the best I've tried, and was confident she'd feel the same. She claimed the eye shadow for her own and I've never seen it again since! She showed it to her friends, and next thing I knew I was being asked to place a giant Colourpop order for my Nanna and her three besties. Of course I couldn't resist ordering myself a few pieces too, and this is what I picked up. This is 'Sugar' and 'Banana Daiquiri'. I fell in love with Banana Daiquiri as soon as they uploaded it to the website and it's exactly what I'd hoped. It's a gorgeous mix of green and blue with yellow undertones. Sugar is a much paler blue with silvery undertones. This is 'Prickly Pear' and 'Party of Five'. Prickly Pair is a lovely purple toned shade, ideal for autumn. Party of Five was part of a limited edition range Colourpop released to celebrate hitting 5 million followers on Instagram. It's a delicious red tone with flecks on green glitter. It's lush! This is 'Mamacita' and 'Take Five', both ultra matte lips. Mamacita is part of the ILUVSARAHII collection, and Take Five was another limited edition celebration lipstick. Mamacita is exactly the colour I reach for in autumn, so it had to be mine. It is the deepest of reds, and it will look incredible on every skin tone. Take Five is a rose toned mauve that is better for more day to day wear. Unusually for me, I opted for three non matte liquid lipsticks finally. All ultra glossy lips in fact! 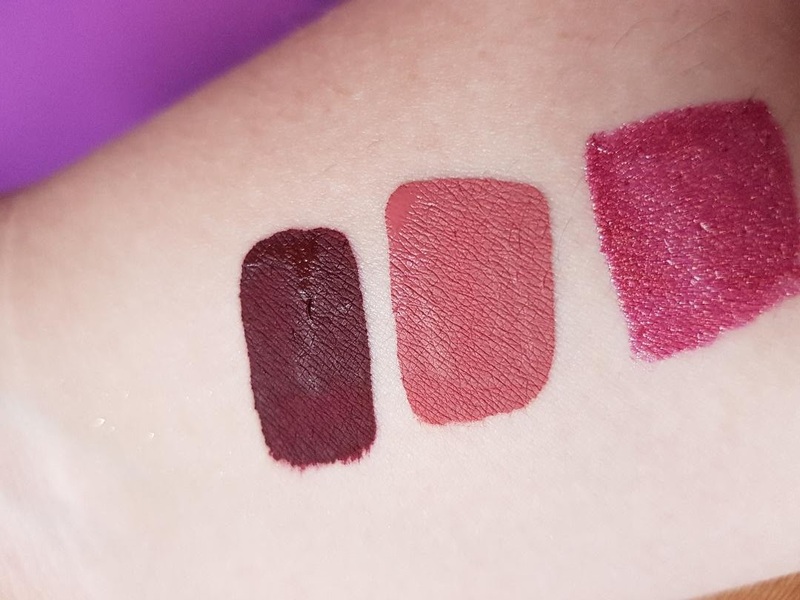 Left to right they are 'Wolfie' which is an ultra metallic, 'Nine to Five', another limited edition product, and 'Wishes' from their limited edition birthday collection. 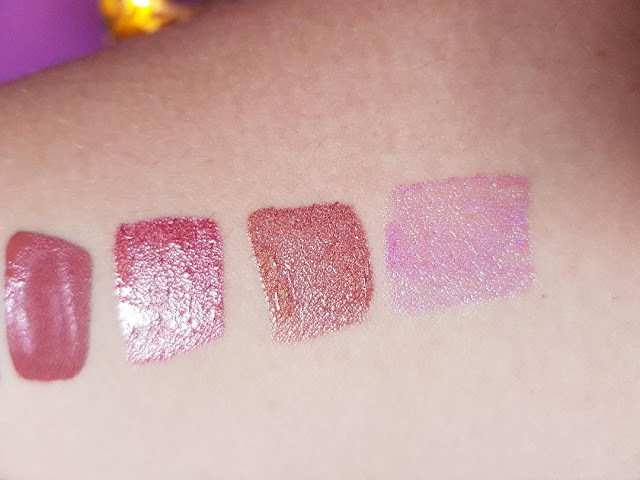 Colourpop's metallic lip products are always stunning, and Wolfie is no exception. It's a rosy red colour that I think I'll wear a lot in the coming holiday season. Nine to Five is a pretty bronze tone with mauve hints. Wishes is an absolute delight. I hope they bring it back because it's so different! It's a magic mix of colours, pinks, purples and blues, the photo really doesn't do it justice at all. It's sheerer than their other glossy lip products, but it almost reminds me of the Lime Crime diamond crusher lip toppers. I don't buy Lime Crime for a whole bunch of reasons, but I loved the idea of their lip toppers. I plan to use Wishes in the same way! I've no doubt I'll probably order more Colourpop in the coming months. I can't resist! Love those bluey green tones. The matte lippies are amazing too. Sounds like it's been a big hit. I like the idea of a shadow that doesn't migrate too. I have hooded lids and it never moves! I LOVE that your nanna and her friends are all having a big make up haul :D I think I need to check them out too! honestly they are too adorable! 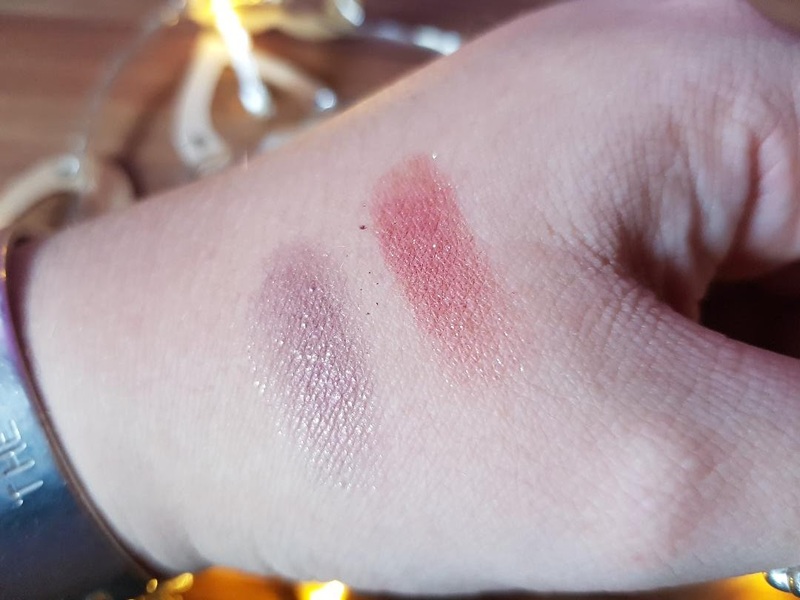 You will be DELIGHTED to know that my first ever Colourpop order arrived this week! I got the My Little Pony eyeshadow palette, and I'm really impressed by the quality and lasting power of the shadows. Love the shades you picked up!